My dance journey began when I was 18. I had just left home and was studying fine arts at the University. I had always put an emphasis on sports and physical activity but playing sports such as soccer left me empty and not feeling like my life had flow or purpose. I was introduced to Belly Dance by a friend and became obsessed! I took as many classes as I could attend and learned the basic movements. I soon found myself taking classes at the university and starting to perform in local hooka cafe's and Turkish restaurants in North Carolina. Not too long after that I relocated to Japan. Belly Dance had just hit the scene in Japan and I found myself in a unique place to offer classes to the local ladies on our tiny southern island. I started out small but by the end I was dancing regular gigs at the Istanbul Kebab House in Okinawa Japan and teachng weekly classes 3-4 times a week! 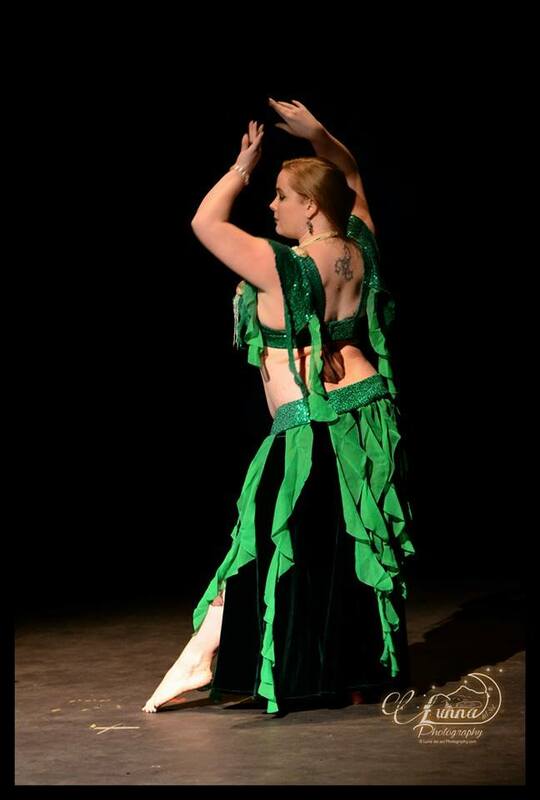 After a while I ended up moving back to North Carolina where I started competing and even placed 3rd in props at the Belly Dance Nationals Competition in 2009. I attended classes in DC as much as possible, taught small classes at the local Metaphysical shop, and performed at local festivals and a few hooka cafes. The clock ticked again and I relocated to Arizona. I jumped into classes right away at Plaza de Anaya. I was so happy to be in a large community of dancers! It wasn't long till I started teaching classes at the beloved studio, first just one then up to 4 a week and even had a small student troupe again! After several successful years I relocated yet again to Oregon! After years of studying many forms of Belly dance including Turkish and Egyptian Oriental, Fusion, Turkish Romani folk dances and Sacred Dance and after years of building a strong dance foundation and reputation in the Dance community, I now focused my dance style exclusively on the esoteric side of dance; performing dances that are full of my own spirituality and all things sacred. My performances focus on the element of water, magic and finding the sacred and divine within myself and those I work with in dance. Many of my current and future performances revolve around Mermaid and Water Spirit themed performances. I find deep healing and satisfaction in leading others through classes on sacred dance and conscious movements. Currently Dance is more of a spiritual qest than a Profession. I am currently taking a break from teaching classes and workshops and will continue to focus on my performance and sacred dance. For this reason classes and workshops will not be available through 2019. For years I had the pleasure of dancing as a professional dancer, teaching classes, performing on many stages and restaurants. Today dance is more of an expression of my heart and so I am bringing it in closer and more personal and bring it back to my center where it can develop and nurture my soul. Professional Statement: Annwyn Avalon is an award winning, internationally known dancer. 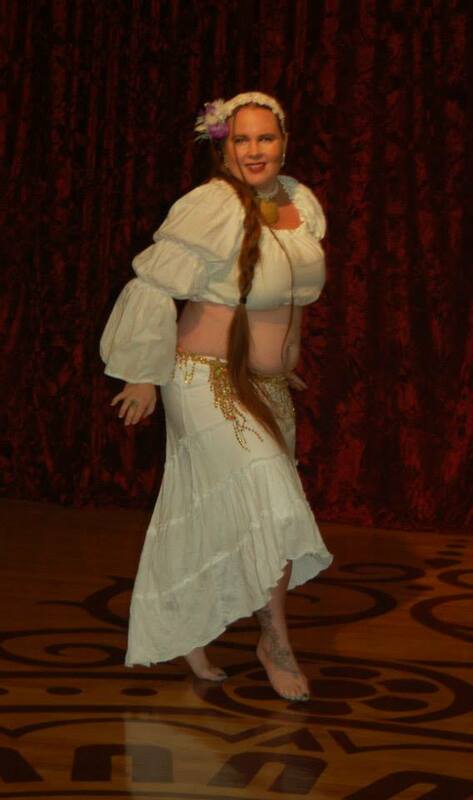 She has been intensely studying Belly Dance in a variety of forms for over a decade. A highly trained Oriental Dancer, Annwyn has been featured in magazines, participated in and taught numerous classes, workshops, and shows in the United States and abroad. 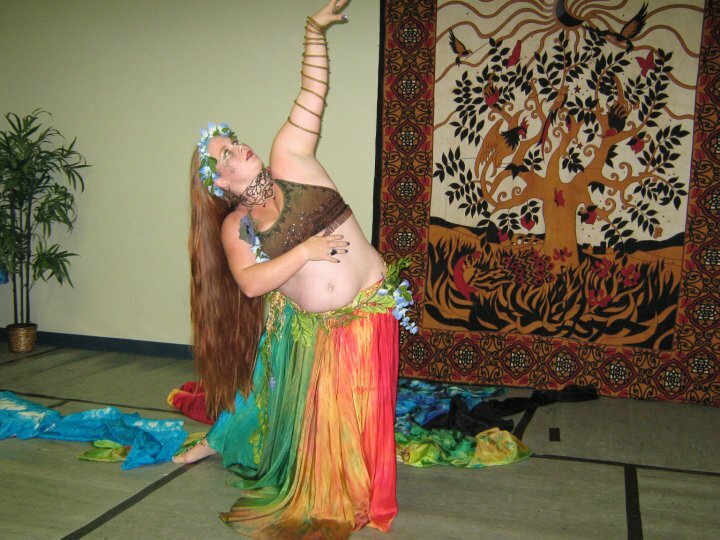 After spending many years living in places like Japan, North Carolina, and Arizona teaching and performing, she is now located in the greater Portland area where she performs Water and Mermaid Themed Belly Dance performances. Annwyn has a long standing history in the Dance and Esoteric communities, having the privilege of dancing with some of the great dancers of our time and helping to train new students, giving them a solid foundation in which to build their own dance. Her focus now is Oriental, Fusion and Sacred Dances, bringing deep meaning and magic to each performance. Annwyn has always been fascinated with and inspired by many forms of Fine art, Performing-art and the Esoteric Arts. "I met Annwyn in Arizona at a dance studio there. I took a couple of beginner classes from her and then I had her come to my home and give me some private lessons and a great choreography. Annwyn inspires me and let me be my own person in dance, and expression. She is a truly passionate teacher and a lovely lady in every way. Talented, committed, and driven yet very dedicated to her passions. I wish she lived closer so I could study more from her. I love her as a teacher and a friend." Jackie C.
"I owned a studio, and Annwyn was one of my teachers. I can not express enough what a caring, thoughtful teacher she is. I loved sending new students into her class, as I know she always took great care of them and nurtured them toward their paths in dance, or life. She always created community and asked for feedback. I loved watching her students bloom as dancers, as well as people. Performance night was always a treat as her students beamed with pure joy radiating from their feet all the way out their eyes and smile. I have the pictures to prove it. If you are looking for a teacher I would highly recommend Annwyn!"